Ocala - Tinsley Ashley, 65, passed away July 17, 2018. Born November 14, 1952, in Abbeyville, SC, to the late Harvey Vernon and Lillie Belle Ashley. His family moved to Lakeland when he was 3 years old and raised their family. Tinsley retired from Publix Distribution as a Driver after 32 years of service. He enjoyed spending time with his family over the years, helping his grandchildren raise hogs in 4-H and FFA, going scalloping in Steinhatchee and trips to the Keys. He tinkered with many things and was always willing to lend a helping hand whenever called. He was an avid hunter and started the SSWF, Southern Sportsman Whitetail Foundation. 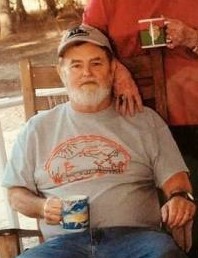 He often went to Gainesville and Georgia assisting disabled hunters and veteran's in hunting with the SSWF. He leaves behind to cherish his memories, his loving wife, Nancy Ashley; children, Bryan Tinsley Ashley, Bridget Ashley, Teresa Walker, Neila Friend, Leila Walker and Les Wolfe; sister, Kate Holt; eleven grandchildren, four great-grandchildren, and a host of friends whom will miss him dearly. Memorial Service will be 4:00 p.m., Saturday, July 21, 2018, at Countryside Funeral Home, Anthony, FL with Mike Milne officiating.